The bank announced the launch date of its new polymer £10 note and unveiled the face of the forthcoming £20 note at its historic branch at St Andrew Square, Edinburgh. The Royal Bank of Scotland is to issue its first £10 polymer note to the general public on Thursday, October 4. 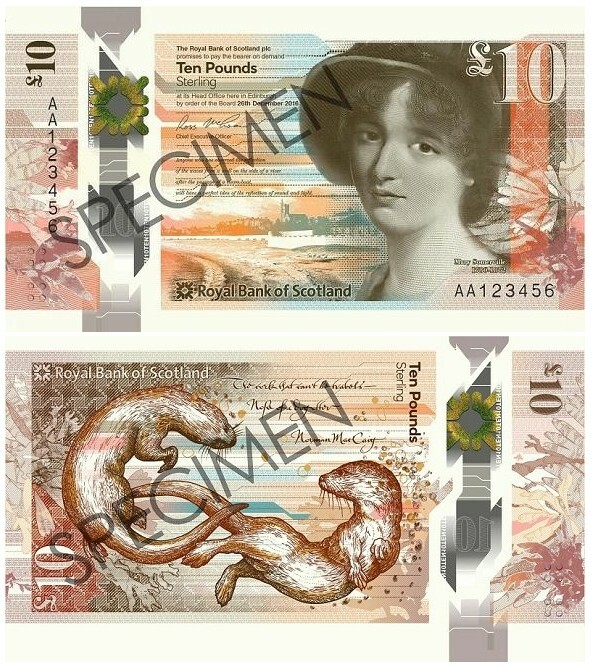 The £10 note features an illustration of Scottish mathematician and astronomer Mary Somerville and is the second in a new series of ‘Fabric of Nature’ themed notes made from De La Rue’s Safeguard® polymer material. The choice of Mary Somerville for the note was made following a public vote across social media. The new note contains a variety of new security features, making it difficult to counterfeit but easy to authenticate, and is the first Royal Bank of Scotland note to feature raised braille details to help the visually impaired. Behind Mary’s portrait sits an illustration of her hometown of Burntisland. In a nod to her astronomical work, a moon diagram taken from her book, Mechanism of the Heavens, appears when the note is viewed under UV light. 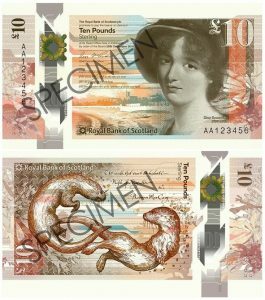 The reverse of the note features a pair of otters, most commonly seen in the UK on the West of Scotland. The note also features words from acclaimed Scottish poet, Norman MacCaig. The new £10 note will be 15% smaller than its paper equivalent and the new material will be cleaner, more secure and more durable than traditional cotton notes, on average lasting 2.5 times longer. 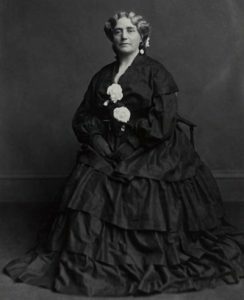 The new £20 note will feature philanthropist and entrepreneur Catherine Cranston, famous for the Willow Tearooms. Catherine, from Glasgow, made her mark for her series of tearooms across the city. Her flagship venue, The Willow Tearooms, became part of Scotland’s design heritage due to an interior created by Charles Rennie Mackintosh. The tearooms made a cultural impact by offering venues where women could enter unchaperoned. Following her death in 1934, some of her estate was left to support the poor and the homeless in the city. The new £20 note, which will also be made of polymer, is expected to enter circulation in 2020.